Genuine Volvo timing belt kits can save you a lot of money compared to purchasing all of the parts separately. 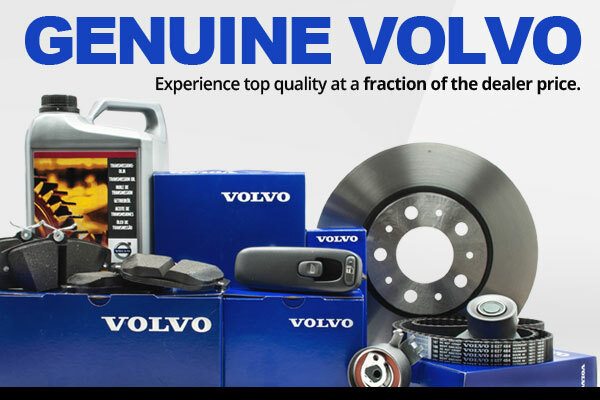 Volvo factory timing kits also are competitively priced compared to non-volvo parts so why gamble on quality and fit. All Volvo timing belt kits include the timing belt, tension pulley and idler pulley but some kits have additional parts depending on the application. All Volvo engines from 1997 and up are interference engines which means if the belt or pulleys should fail it could ruin the entire engine because the valves in the cylinder head can contact the top of the pistons which will either bend the valves and cause damage to the cylinder head or possibly break a piston. Volvo genuine timing belts are vital safeguards for an exact combustion process in the engine. They also manage the important tasks of driving the injection pump, water pump and balancer shaft. As is the case with all parts from the Volvo genuine parts program, Volvo genuine timing belts are customized and tested to fit all individual Volvo models and are unique to each engine variant. A single model may have 5 engine variants so it is crucial you get the correct belt and timing parts for your specific model and Vehicle ID. Volvo Timing belts have a longer lifespan and display better performance than generic timing belts. Volvo timing belts can run constantly under extreme stress, high speeds, vibrations and temperature ranges from -30 to 135 degrees Celsius. If you install a generic timing belt it can have the following effects: noise level, reduced performance of related parts and the combustion timing can be affected as well. The functions that the Volvo timing belts are set to protect are critical. It is therefore of the utmost importance to adhere to the service program and to replace them according to the service interval unique to each model. If the timing belt breaks while the engine is running it can lead the costly repairs and catastrophic engine damage. Timing damage can impact valves resulting in major damage and in the worst case scenario risk ruining the whole engine. Always replace the Volvo timing belt using the kit so that all crucial parts are replaced because replacing just the belt will not remove the danger of engine loss. Taking the car out on a long-drive or an adventure? We agree, it’s time to change the timing belt kit and ensure your complete peace of mind for the journey ahead. We have assembled the best timing belt kits for Volvo. Place your order today.